In the modern era, the use of violence was the prerogative of the state. As Max Weber specified, only the state has a legitimate right to use violence. In the era of globalization, the functions of individuals and institutions which define and use multiple forms of violence, begin to blur. It is not just about military campaigns and participation in these by private companies, mercenaries and volunteer units, but also violations of fundamental human rights by a non-state actors and special departments of the state system, which are beyond the state's powers. In the United States, the institutionalization of violence took place at the same time that democratic institutions developed. The legal interpretation of different “atrocities” appeared in the U.S in the late 18th to early 19th centuries which justify the use of state-sanctioned torture. In Massachusetts, the 1641 Massachusetts Body of Liberties states that a convicted criminal may be tortured if he is found guilty, but the torture may not be barbaric or inhumane. The 1984 Convention against Torture extends beyond the definition of torture as an inhumane act and restricts its definition to illegal torture. According to this interpretation, any actions that have been legalized, by definition, are not torture. Therefore, if the authorities are empowered to act in the name of abstract interests of national security, it is possible to torture suspects, as such behavior is specified by the law. The Legal Aid Department of the US Justice Department, at the CIA's request, even prepared an office memorandum, which stated that if a State employee is going to torture captured suspected terrorists, he will do it in order to prevent new attacks on the United States by the al-Qaeda terrorist network. CIA head, George Tenet, who served from 1997 to 2004, personally approved harsh interrogation techniques, including drowning methods. Later, he also instructed the medical staff to observe the brutal interrogations, which contradicts principles of medical ethics. Tenet himself was endowed to approve, modify, or reject, all proposals relating to research involving human subjects. On December 9th, 2014 the US Senate Committee on Intelligence issued a 500-page report on the findings of the CIA program on arrest and interrogation of terrorism suspects. The program was carried out from 2002 to 2006. Officially, the program's techniques were banned in 2009. The full report, which has more than six thousand pages, is still classified. The most infamous cases that became notorious world-wide in recent years were the tortures of Iraqi prisoners at the Abu Ghraib prison, as well as the placement in special prisons of a large number of foreign suspects, having links with al-Qaeda, most of which are still at the US military base in Guantanamo (in addition, that Cuban territory is illegally occupied by the United States since 1959). In domestic policy, the use of violence against American citizens has become a common practice. The legislation gives the country the benefit of the doubt to police and other security forces in most cases, which cause a high risk of citizen killings and injuries at the hands of law enforcement agencies. After the coup d’ etat in Kiev in 2014, a surge of violence began in the country, which had an ideological character. In most cases, murder, kidnapping and torture are supported and encouraged by government agencies. Thus a number of major murders are not investigated, and in some cases (the Oles Buzina murder investigation), the suspects were set free. Simultaneously, there is the glorification of the people who committed serious crimes, which are genocidal in nature. Some facts about this torture policy has been officially confirmed by the Ukrainian authorities, but after a series of management changes in the Prosecutor General's Office of Ukraine, recently these facts have been ignored. Aleksey Lukyanov was arrested in June, 2014. He was brought to the base of the SBU, disguised as a car-wash, where he was interrogated for a few days, being beaten, undergoing psychological pressure and humiliation. Then he was put into a jeep and sent to Slavyansk region, to Evgenevka village, where there was the SBU headquarters and filtration camp. There he was put into a room with a small booth about 16-20 square meters in size, where he spent more than twenty days. According to Lukyanov, every night he was in handcuffs with a bag on his head, sitting on a chair, being asked questions and hit on the head. Also, he was put in a pit that was specially dug. A resident of Kharkov, Alexander Petrunko, was abducted by unidentified persons and taken to one of the underground prisons in the Kharkov region in January of 2015. He was interrogated by representatives of so-called battalions. They tried the technology of “humane” torture of Guantanamo: drowned in water and beaten with electroshock. In the end, he had a bottle of vodka poured on him and threw out in the snow. The 14th, and most recent, report of the UN monitoring mission on Human Rights indicates that the SBU has five secret centers, where it tortures the citizens of Ukraine and illegally seizes foreigners. In Israel, the human rights situation is also critical. The majority of the illegally detained and tortured people are Palestinians. The violence against them is committed on their own territory, which is illegally occupied by Israel. Although these violations are well known to international community for many years, there are no severe sanctions against Tel Aviv. The Islamic state terrorist organization, occupying part of the territory of Syria and Iraq, does not fall under the jurisdiction of any country. ISIS's actions can be described as willful killing, torture, sexual violence, slavery, kidnapping, and drawing minors into criminal activity. 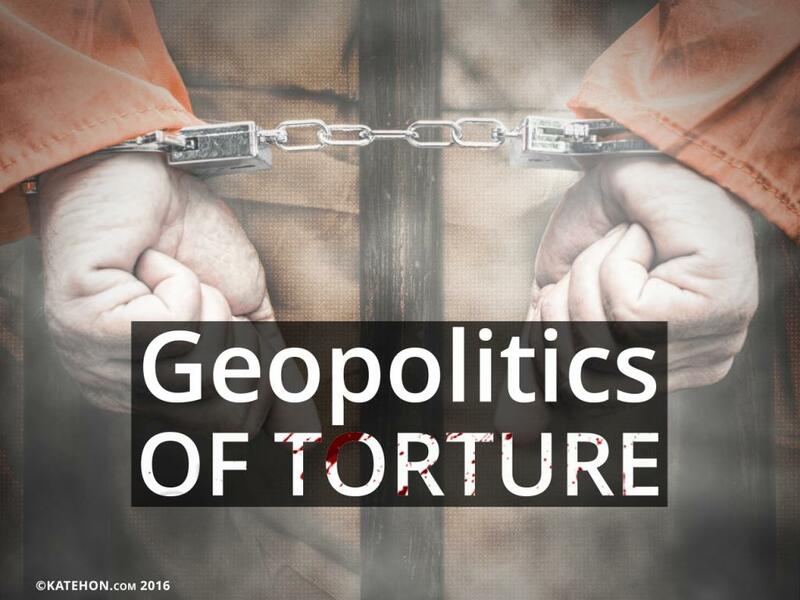 In general, the geography of torture demonstrates a stable tendency of political polarization. Torture is used in countries promoting the rule of law like the US and Israel on the one hand, and in states where there is an abrupt transformation of the political system. In this case, the liberal-democratic institutions are the “umbrella” to justify the use of violence. In particular, the United States and Israel torture programs are directly related to the interests of national security. In the case of fragile states, such as Ukraine and Iraq, bursts of violence are linked with the disengagement of the state from its social obligations, including those to protect the lives, rights and freedoms of citizens, and with the geopolitical interests of a third party. In Ukraine, a deliberate Nazification was conducted because of the need to create a Russophobic attitude and following legislative actions of the country, which are beneficial to Washington. Today a 14th report of the mission to monitor human rights will be published.